So much to be grateful for last week. Especially a surprise week-end away with some of my closest friends. It involved a famous flower market in Milan, lots of foreign foods, Pina Coladas and some charming little vintage shops. It’s amazing what a few days away from your daily grind can do to your spirit and energy level. Throw in a relaxing Mother’s Day on Sunday including breakfast in bed and kid made art and poetry and I was (am) a happy woman. 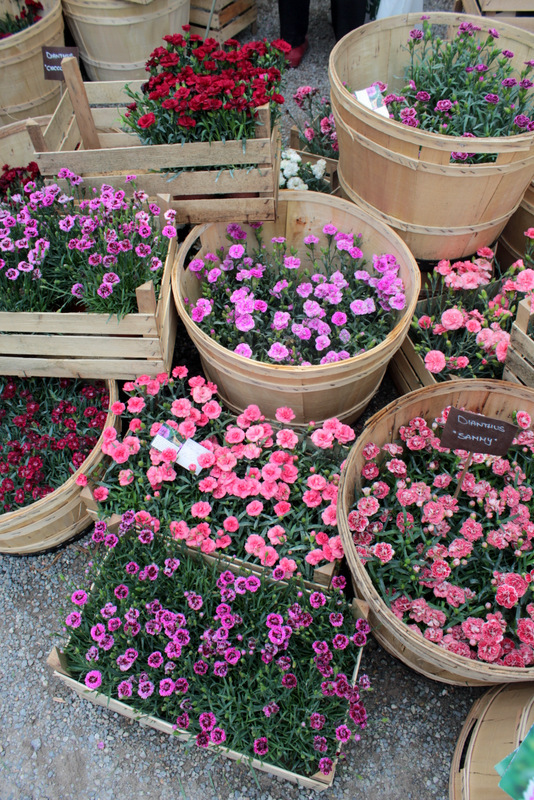 …carnations in every possible colour. Gone are the days of them being considered “grocery store flowers”. 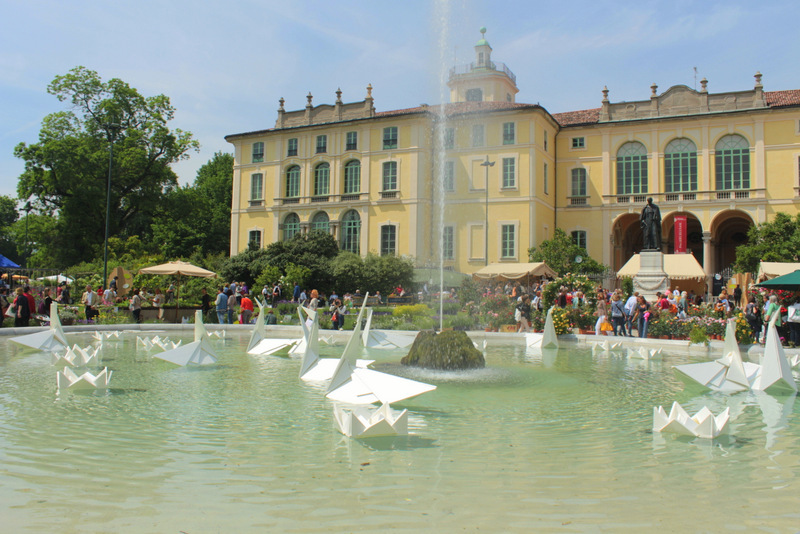 …huge origami cranes and lilly pads in a lovely fountain in front of an even lovelier old villa. 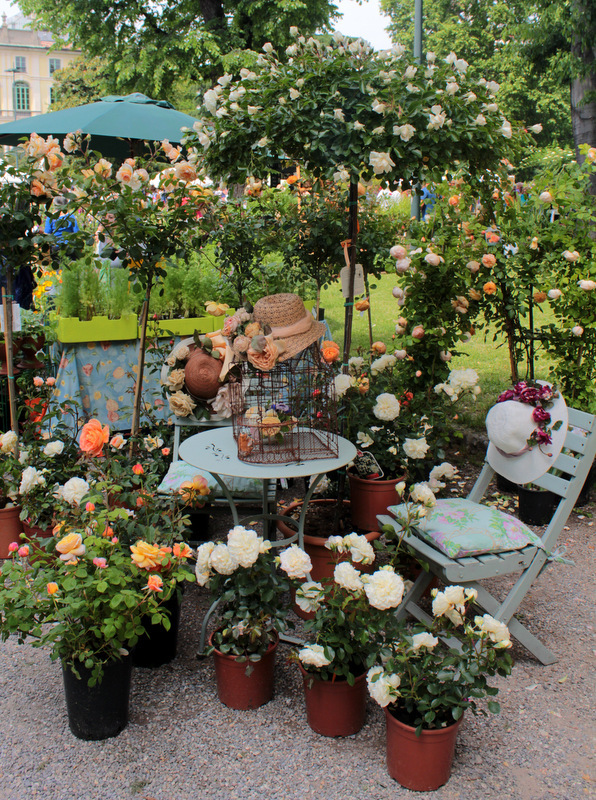 …this little scenario that I would like to re-create in my own garden. So lovely. 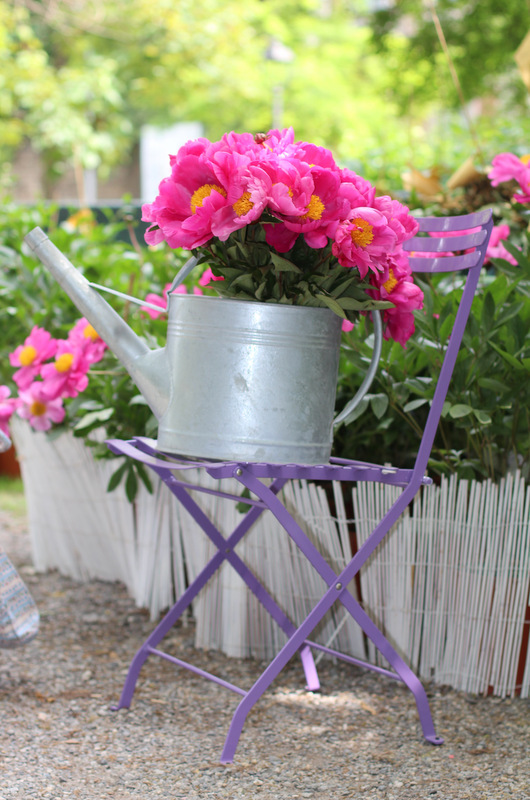 …old metal watering cans filled with bright flowers. 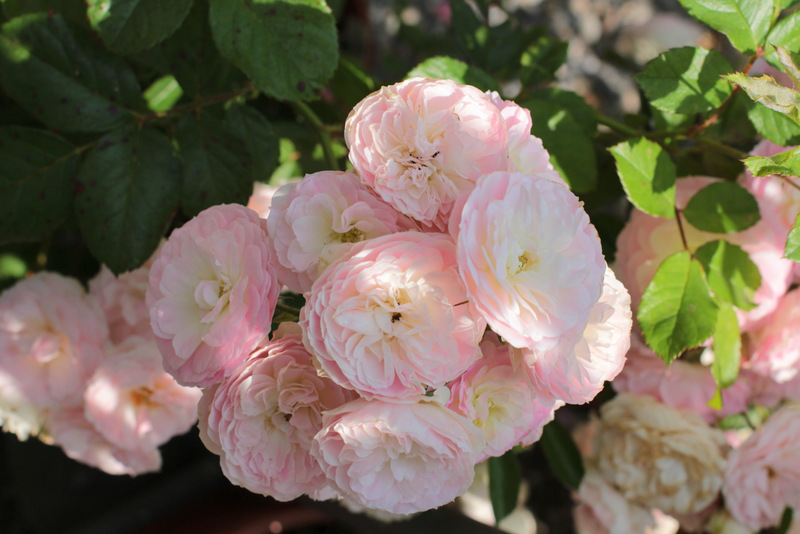 Wishing you all a lovely week (it’s already half over!). These pictures are so beautiful! We’re traveling to Italy next month (starting in Rome, so south of you I think…), and your images have me so excited! I’ve never been and have always wanted to go. Glad we found each other via IG, and I’ll shoot you an email about cameras.